Amelia Campbell grew up on an apple farm. 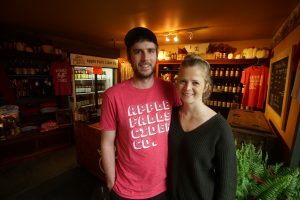 Campbell’s Orchards near Carrying Place has been a favourite family destination for 35 years – now Amelia and her partner Matt Oskamp are adding a delicious new attraction to the family farm. Amelia tells us about creating Apple Falls Cider. 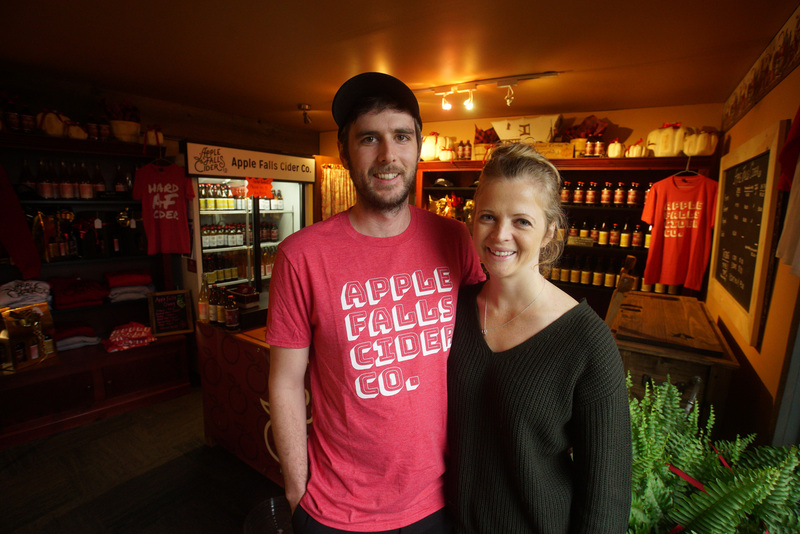 Apple Falls Cider opened during Maple in The County in March 2017. “Spring was encouraging, Summer was great and Fall was amazing!” says Matt. “Of course Winter is slow, but we have a lot to work on – like growing our licensee business. We knew Autumn in the orchard would be busy, but we didn’t know what to expect for the cider because we cater to a different clientele. We had sold out of our first batch in August so we lost a lot of potential sales in September. You live and learn! The second batch was ready to bottle just when the crazy busy harvest time began. Space was limited, so it’s good that we all get on well. We had to work in the cold room. Which is COLD. Friends came to help us bottle and we told them to dress warmly, which they thought was odd because it was lovely and warm outside, but we were bottling in what is literally a fridge. Space is at a premium here, but building a small addition has helped a lot. Now we have all our tanks in one spot and don’t have to squeeze stuff into Colin and Dianne’s space. 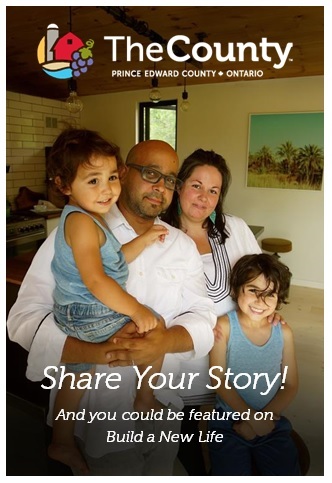 LOCAL FOLLOWING – We quickly built a client base of locals and visitors. This is The County, so obviously it’s seasonal. Visitors come in droves in summer, and now we are seeing lots more local people. They will be our foundation. This year we saw people from Toronto, Ottawa, Kingston, and Montreal – and a lot from Quebec. They really know their cider. Cider is still new enough here that we have to explain it to some people, so it’s lovely when someone comes in who really knows about cider. 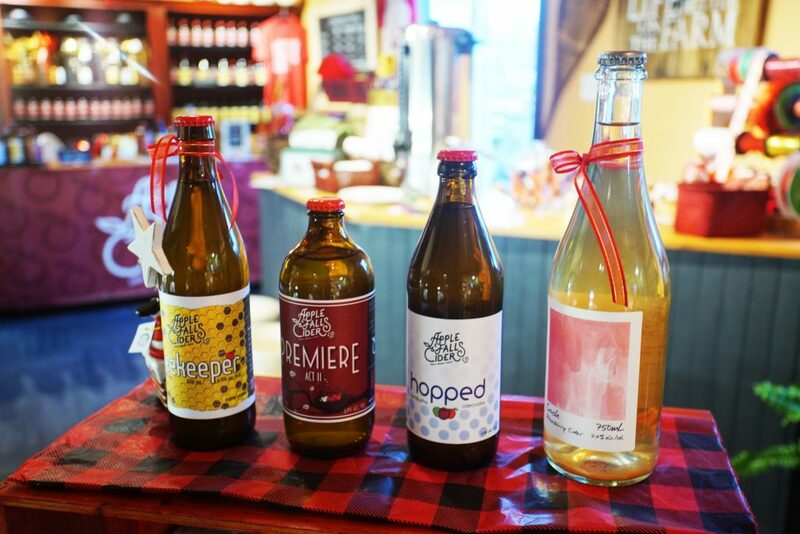 THE PRODUCTS – In our first batch we had Premiere, a very traditional dry cider, and also a heritage cider with maple syrup from Nyman Farms and Greens Sugarbush. That was popular during Maple in the County, and we sold out but we’ll do it again next year. We’re keeping our products seasonal. Right now we have honey cider, a little sweeter and so nice for Fall. Syrup and honey are two kinds of sugar that reflect the different seasons. The taste of cider depends on the growing year. 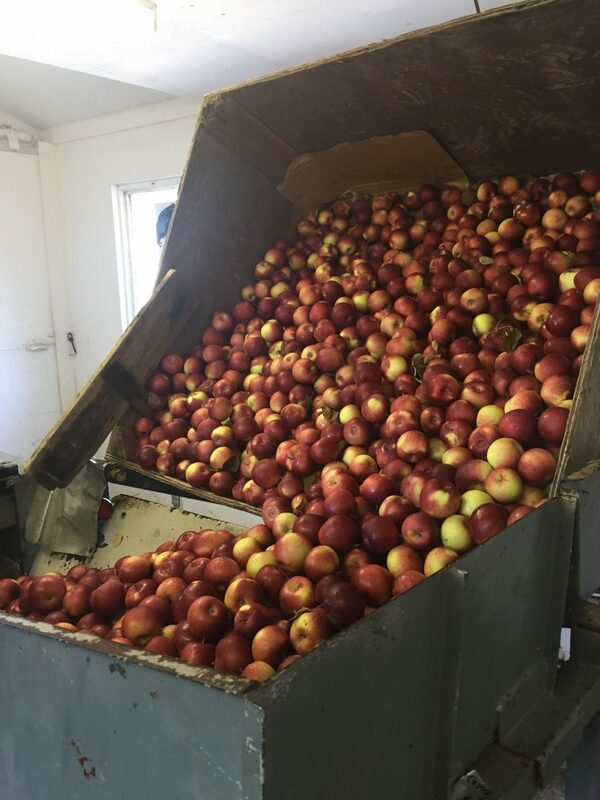 Every new pressing will be a little different, even using the same varieties of apples. Our batches will always change, like wine, different years produce different wines. It’s a lot to do with sugar in the fruit. Last year was very dry and the apples were high sugar. This year was wet, so the apples will be different. There will be a lot more cider, but less sweet. It’s different with beer. Brewing does not depend so much on the growing year. We will push that concept in our promotion, that the Premier Cider will be different each year. We’re experimenting, too. Working with Pyramid Ferments to make a kombucha cider. Stay tuned! Right from the start we found the brewing and artisan food community here just amazing. 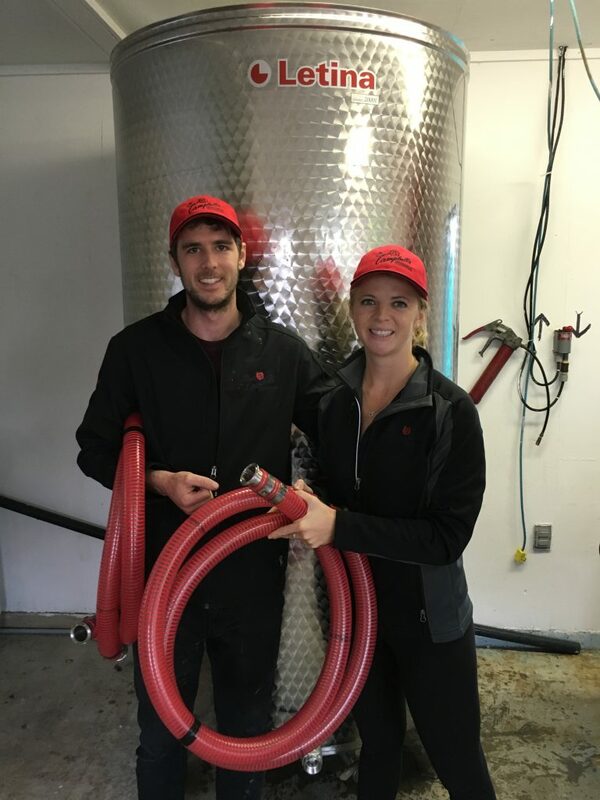 Vicki and Jonas at Hinterland helped us a lot.They lent us tanks for our first batch because we had just one 2,000 litre tank and Jonas said “No way that’s enough. You’ll sell out so fast. I’ve got tanks I’m not using. Take them. Don’t skimp.” And just last week we picked up a tank from 555 Brewery. We want to get even more involved with the community. There are so many smart people here, it blows my mind. Such a terrific knowledge base, and everyone is looking for new things to do. Like the kombucha cider idea. We approached Jenna and Alex and they were enthusiastic and came up with a system to do it. They had never brewed so much before, so it was cool to be part of that. 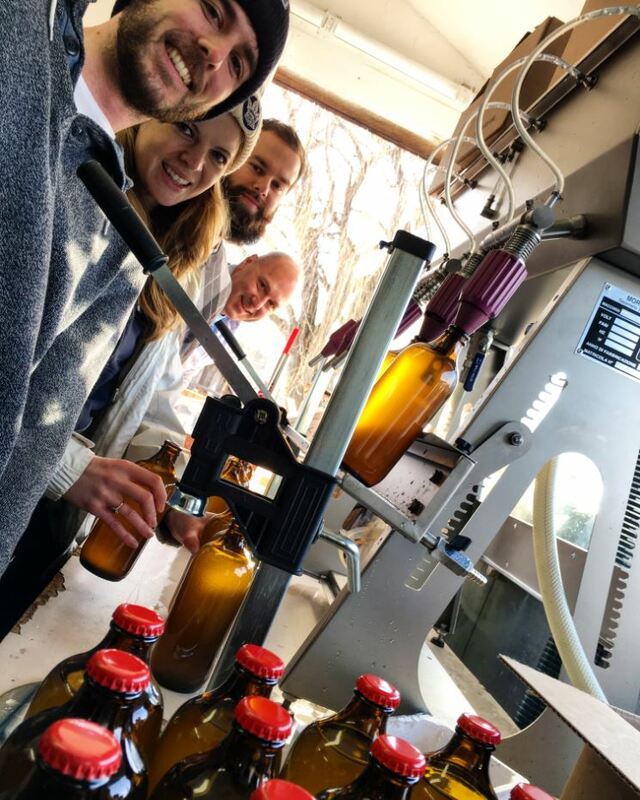 And they helped us bottle so we got it done in one day – just them and us. It was fun. We drank kombucha cider all day long. Doesn’t get better than that! We will apply for grants for more research and development, but it will take time. We both have “day jobs” cidermaking is our weekend job, and our nighttime job sometimes, too! 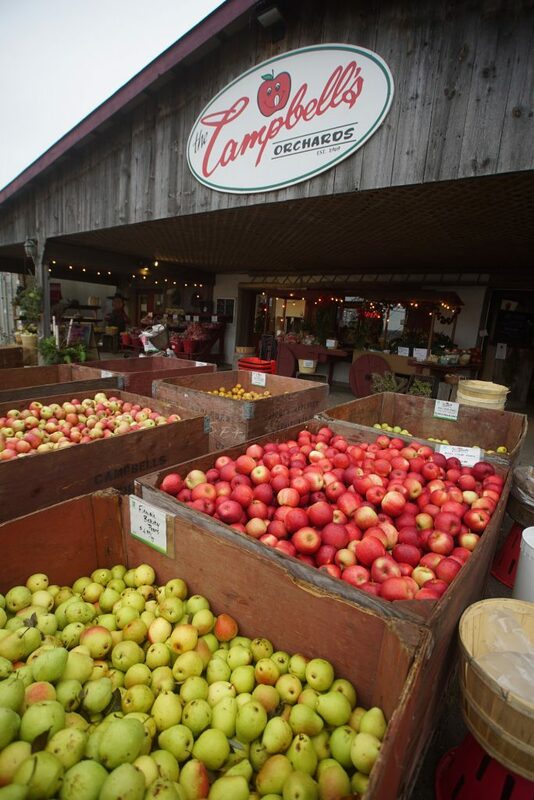 “It’s a lot busier than when I first came eight years ago,” says Matt, although he says Campbell’s Orchards has always been a big destination for families. “It’s a great place when people want to go on an outing and do stuff outdoors. That’s the feeling we want with Apple Falls. We’re tapping into a whole new scene, today. It’s a growing market, there’s growing interest in the breweries and wineries. 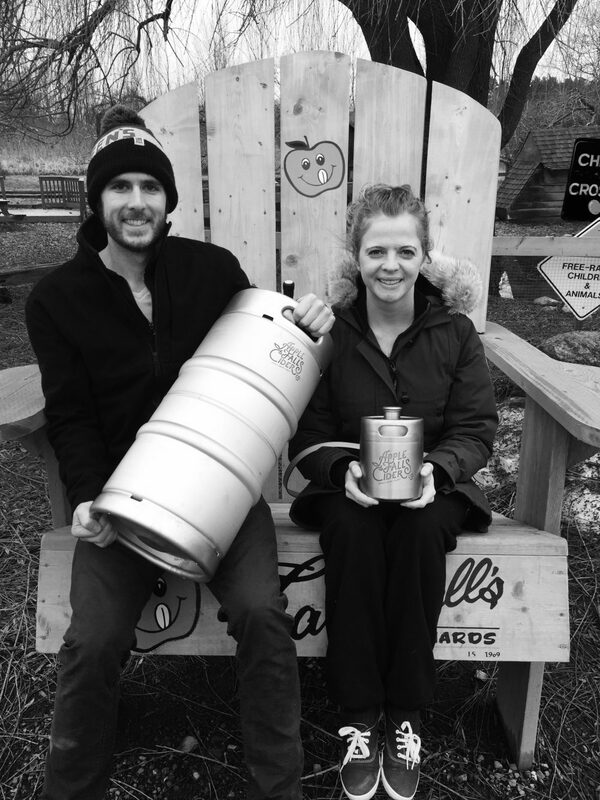 Our cider will bring new people to the orchard, and folks who have traditionally come to Campbell’s might discover they really like cider! I can see Apple Falls becoming our full time operation. Then the next step is move back to The County!